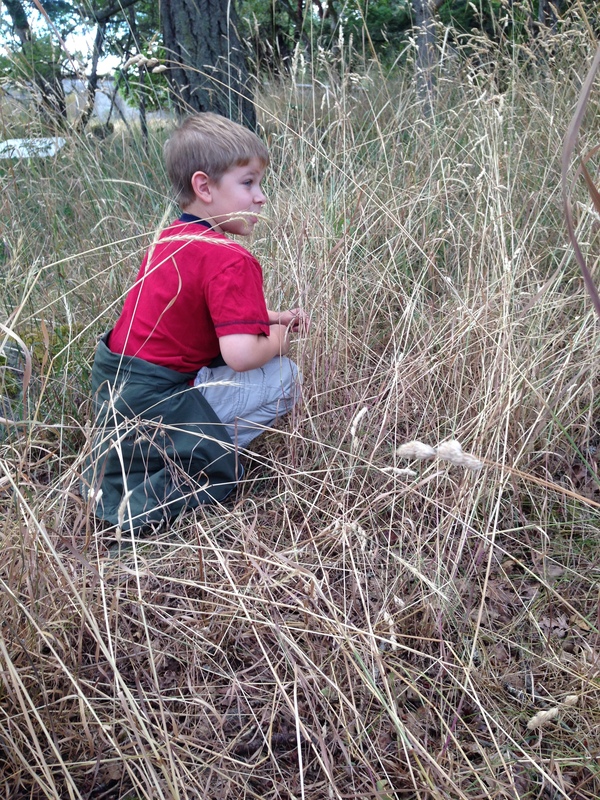 Is there a measuring tape for how far you should let children go? I mean, I get that maybe letting them juggle with piranhas might be a bit much, but not letting them out to have adventures, experience life, and grow as individuals seems equally wrong. Oh sure, they could get an epic score on Terraria, but does that teach them about the world? I have to admit, I’m struggling with the boundaries. And Fort Rodd became a good test for me. And the boys. We’d arranged to meet a great friend of mine, a poetic writer and one of the nicest people in the world. We were in luck because she was also bringing her adorable boy and her super kid-friendly husband. What better way to have a nice adult chat, thought I, than to have it while the kids roared about the fort together? The cannons were a huge hit. But let me do a lego-movie version of the event. Me: Cannons, blah, blah, blah, history, backstory, blah blah blah, british empire, blah, blah, blah, world war 2, blah, blah, blah history lesson. The boys: Cannons! Let’s climb on them. And straddle them. And then leap off them. 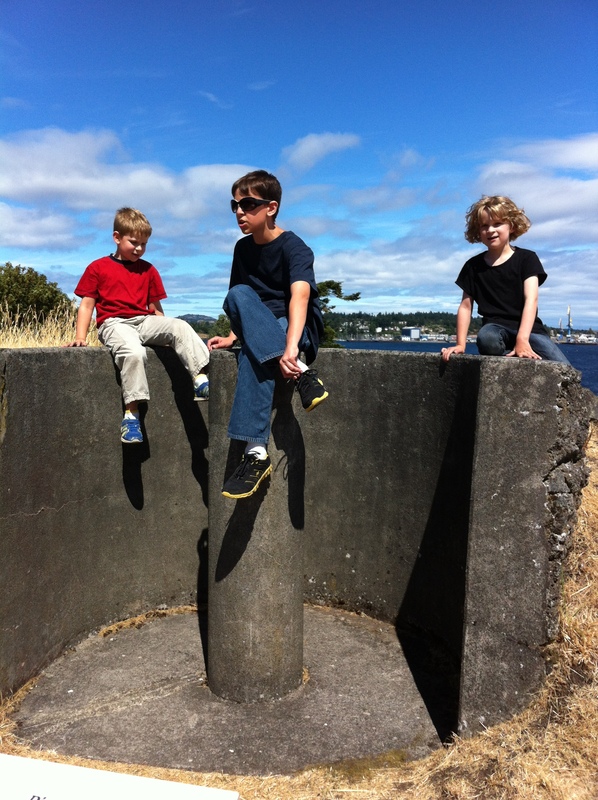 The boys, being boys, climbed up on the biggest, highest cannon you could imagine and then wanted to jump off. That’s where I first pursed my lips. I didn’t get a punch in the gut or anything, but it was that moment of wondering if this was a good idea. Hey, that whole ‘wondering if it’s a good idea’ is a new thing to me. I have no brain paths set up for this. Here’s the vision I had. The oldest stands up on the cannon. He sees a bee who sees him and eyeballs him with a look that says, dude, I’m gonna sting you in the eyeball for all the pesticides you put on my flowers, so The Oldest starts to swat at it and hop up and down, when his foot slips on suntan lotion left by a chubby Asian kid who looks a lot like that kid from Up and falls headfirst into the pile of cannon balls 20 feet away. And then the cannon falls on top on him. And the cannon balls explode. Ok, he would have to bounce a few times to hit those balls for this Wile E. Coyote scenario to occur, but you get my drift. I look to the Prettiest-girl-in-the-world for direction. She’s ok with them climbing on stuff, but keeps an eye on them. I do the same and try to look cool. Of course nothing happens. Not even when they leap off. The Oldest does it quite sensibly in fact, hugging the cannon like it’s his first girlfriend, swinging his legs over one side and lowering himself ¾ of the distance before dropping a safe 6” to the ground. Him, I don’t have to worry about. The Youngest, however, well let’s just say that if he doesn’t find a way to bang his head, skin his knees, scrape up his shins or poke someone in the eye with the stick, it’s probably because he’s asleep. There we were. All the men. 4 adults, 3 children. You could make an argument that with 5 guys in the group, there were 5 children, but whatever, don’t be mean. 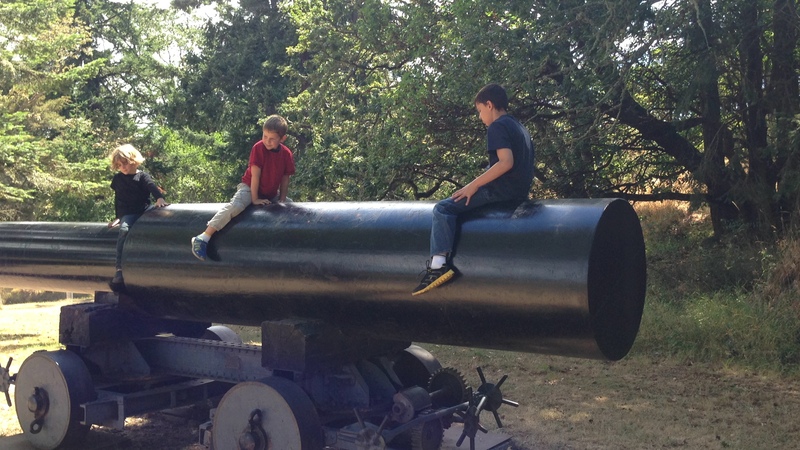 Anyway, there we were, all standing by a pullie system holding up a huge cannon. We (being men) were sure this was something that we could use our brawn to lift. I mean, hey, it had pullies. It wouldn’t really take that much brawn. 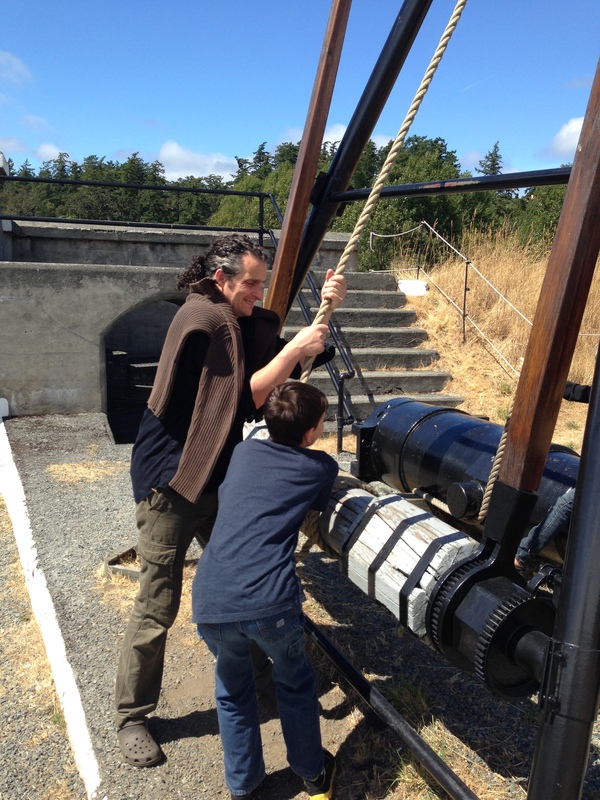 We’d lift the cannon off its support, hoist it high and…. Well, what guy thinks about ‘and’? So we pulled on the rope. First one, then all of us, grunting and heaving and looking manly, our brows tensed, our magnificent muscles bulging, The Prettiest-girl-in-the-world shouting, you can do it, just use your strength, you almost have it!!! So we heaved, nearly popping out an eye or tearing a groin muscle. Seems the gear the pullie was attached to was welded up tight. We couldn’t have moved the thing if we were the Hulk. Ok, maybe him, but no one else. Ok, maybe Thor, too, but no one that actually exists. I loved that she could play a joke on us like that. I loved that she pushed us until we finally used less of our brawn and more of our brains. I loved that she knew men and how much they wanted to show the pretty girls how strong they were. Imagine, then, the moment he and the other little boy race to a tower of stone and mortar, and begin to climb. There my stomach goes again. It’s a good 20 feet climb straight up and while there’s a ton of foot and hand holds, it’s still a heck of a climb to the top. First thought, get him off there. Before the Commissionaire goes all North Korea on him and shoots him off the tower. Second thought, let the boy be a boy. Hell, back in my day (my most favourite phrase these days) my brother and I climbed trees, cardboard-sledded down grassy slopes, tried to build a driftwood raft to sail to Port Angeles and shot arrows in the backyard. Somehow climbing a fortified tower didn’t seem so bad. Third thought, OMFG, he’s halfway up the damn wall!!!!!! At this point, the scaling little monkey really needed to come down. Here’s the thing. If he fell, it would be an ugly fall. And he was losing his nerve. He was stuck about half way up (or to quote him later, “way more than half way up, Joe”), so it was time to come down. Now, getting down is way harder than climbing up. I too have learned this lesson. And relearned it over and over, again. Let’s not talk about the time I was sprawled up a ruined castle wall in Italy, trying to scale to the top of a tower. No, let’s not mention that I clung to the wall, spread eagled like I was crucified, wondering how I was going to explain to search and rescue my thinking process. No, let’s get back to The Youngest. Since he couldn’t go up anymore, we had to guide him. I helped his foot find each foothold. The Prettiest-girl-in-the-world told him where to move his hands. The Oldest alternated between shouting encouragement at his brother and rolling his eyes. It would be great if there was such a thing as a measuring tape, let me tell you, a guide on how far they can go. I hate to think that something bad would happen and I have, being a writer, a very active and frightening imagination. On the other hand, making the boys afraid to do anything, to make mistakes and learn from them, to try something new and maybe succeed, maybe fail, isn’t that what childhood is all about. But you know what scares me most? The thought that I’ll have this worry for the next 50 years. 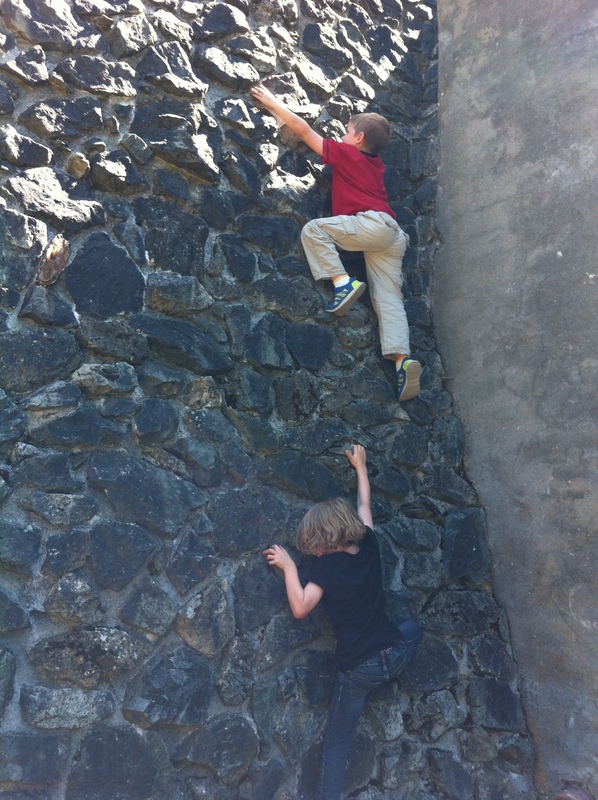 This entry was posted in Blogging, Parenting, Travel, Traveling with Kids, Victoria, writing and tagged bees, cannons, climbing walls, fort rodd hill, parenting, parenting worries, the oldest, the prettiest-girl-in-the-world, the youngest, Up. Bookmark the permalink. Yup Joe, 50 years to go. Now you know why parents go prematurely grey!